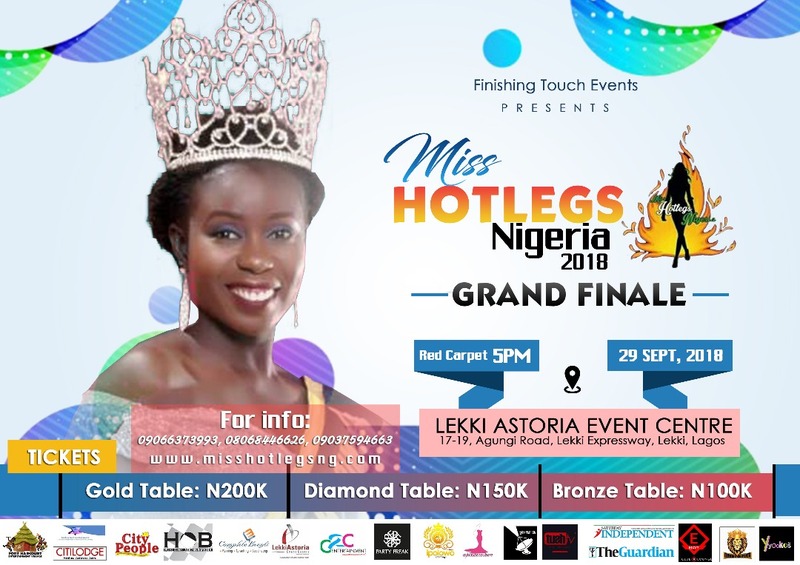 It’s that time of the year again when Finishing Touch Events is set to hold the grand finale of the Miss Hotlegs Nigeria 2018. The event is scheduled for Saturday, September 29, 2018 at Lekki Astoria Event Centre, Lekki, Lagos. It is expected to kick off with a red carpet session at 5pm with the main event following immediately after. The application for the niche beauty pageant in Nigeria, which started in March and ended on May 30, 2018 has since culminated in the September event which is where the winner of this year’s competition would be announced. 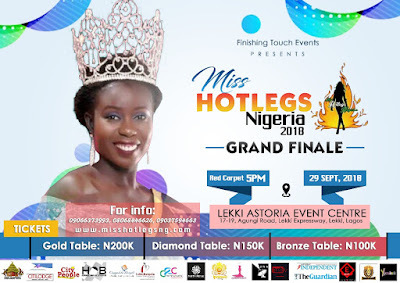 Director of the Miss Hotlegs pageant, Mosy O’Ginni, among other A-listers from diverse industries would be on hand to usher in the reign of the new queen. O’Ginni has revealed that this year’s event is poised to be the biggest ever since the history of the pageant, and the winner will walk away with cash prizes sponsored by Finishing Touch Events UK and the chance to represent Nigeria at the Miss Hotlegs Africa Pageant among other mouth-watering prizes. She promised other mouth-watering prizes for the runner-ups. “This year’s will be the biggest ever. Everything is ready to host the event. We are waiting for more sponsors to come on board at this moment,” O’Ginni said.